We do FULL 30, 60 & 90-minute treatments. 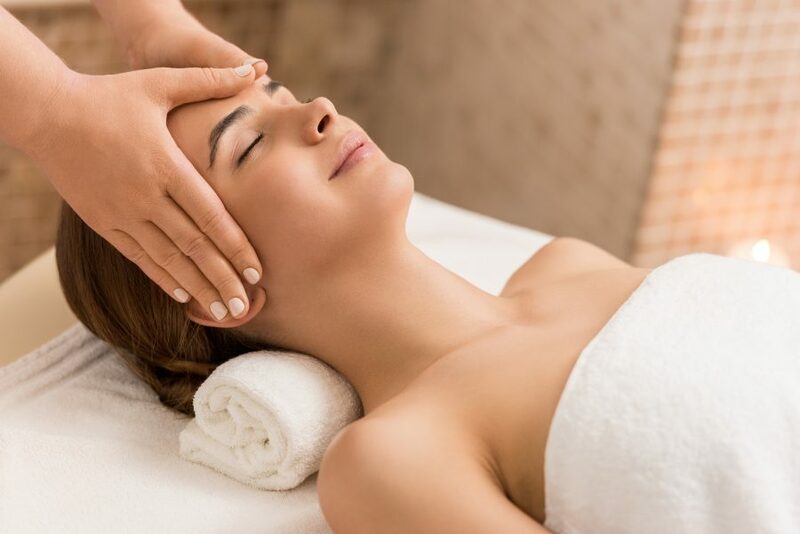 We strive to customize each massage & facial to meet your needs and encourage you to communicate with your practitioner to ensure that your specific therapy goals are met. Simple is good. 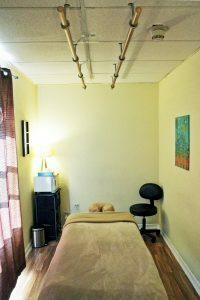 We are a simple studio that focuses on therapeutic massage & facial treatments. No water features. No hair or nails, just massage & facials… and waxing. 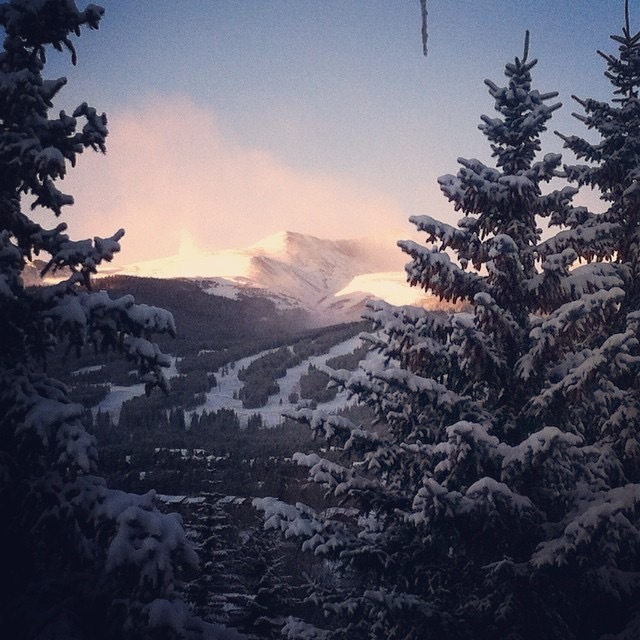 Aromatherapy, steam & a full body massage, what a blissful treatment at 9,600 feet! You receive a Swedish, Sports or Deep Tissue Massage, which is complimented by steam to hydrate and open your sinuses and a unique blend of essential oils to alleviate high altitude symptoms (headache, loss of sleep, and shortness of breath). This massage is the key to feeling your best in the mountains. When your mountain adventures are done and you are sore and tired, this is the best treatment for fast recovery. This therapy uses arnica to provide immediate relief to sore muscles. Arnica improves muscle recovery and reduces pain and bruising. Our Arnica oil is specially made here at our studio and also includes anti-inflammatory essential oils. The ultimate way to recover from your day! This wonderfully relaxing massage technique uses light pressure and smooth sweeping strokes to increase circulation, relieve tension, restore energy and create a sense of well being. This massage is perfect for those who don’t enjoy deep pressure or are new to massage. Deep tissue massage is ideal for people who do enjoy firm pressure! This massage will locate and relieve tension, chronic problem areas and rebalance your energy flow. It is an invigorating massage with lasting therapeutic effects. This type of therapy is ideal for people who live life on the go. The therapy uses medium to deep pressure and will enhance movement, flexibility and optimize muscle functioning. It includes muscle flushing, pressure, friction and stretching. Can be used before or after athletic events or for maintenance between events. The perfect choice for couples, parents w/children or best friends who want to be in the same room together. The price below reflects the cost of a couple’s massage with a basic Swedish, Sports or Deep Tissue. All upgrades or Specialty massages are an additional charge. Add a 30min feet treat or soothing facial for +130. Can mix & match treatments. We have two couples’ rooms. This pampering massage uses heated stones to provide a luxurious, gliding sensation of warmth that penetrates deeply into your tissues. The therapist works with stones and hands to help relieve tense, sore muscles and restore wellbeing to your body and mind. Now is the time to let someone else take care of you! Allow a therapist trained in prenatal massage aid in relieving the aches and pains that your body feels from carrying a new life. This treatment is available to mothers who are 12 weeks and beyond. For mothers who are under 12 weeks, please bring a note from your OBGYN or nurse mid-wife stating that it is ok for you to receive massage in your first trimester. 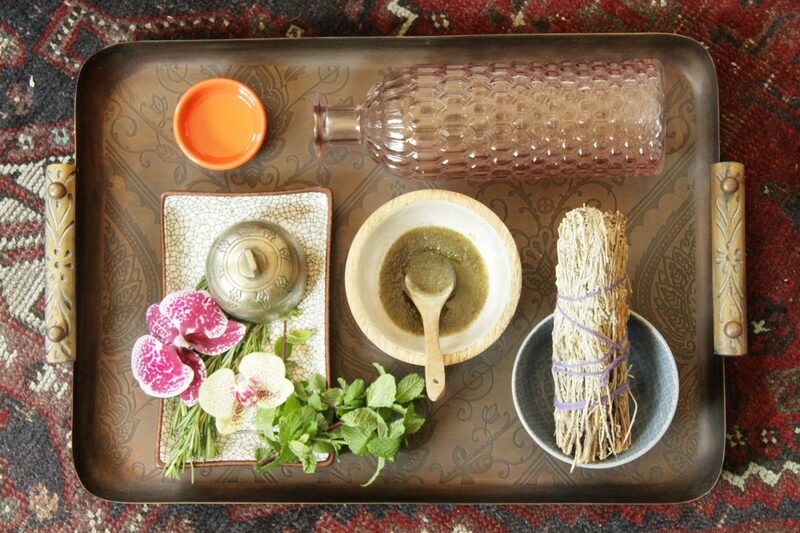 Tibetan massage is one of the oldest forms of massage therapy on earth and is known for healing on physical and spiritual levels. It uses sweeping strokes while also incorporating energy work, pressure points & stretching. It is practiced on a massage table with gentle or deep pressure, depending on your preference. Add the Arnica or High Altitude upgrade for +15.00. This barefoot massage technique uses deep compression effleurage strokes that glide over the body, helping to relieve symptoms of chronic soft tissue damage. It is the most luxurious deep tissue experience and a real art form. -Please check for availability. An ancient healing art also known as “lazy yoga” because it is like doing yoga without any work. 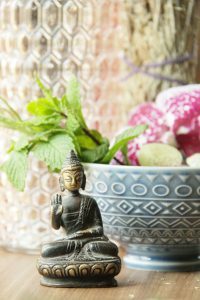 The therapist moves your body into a series of Thai yoga stretches while integrating kneading, compression and acupressure along energy lines. It will improve your body’s mobility and flexibility. Thai Yoga massage is performed on floor mats, fully clothed and without the use of oils or creams, so please wear warm, comfortable clothing. -Please check for availability. Let one of our therapists help you choose an essential oil or blend of essential oils to compliment your treatment and enhance the therapeutic benefits of your massage. CBD is a pain relief balm made from industrial hemp. It is a cannabinoid, but is not psychoactive and contains no THC. It is a top notch pain reliever, anti-inflammatory, immunity booster & helps relieve symptoms associated with chronic pain, arthritis & sports injuries. 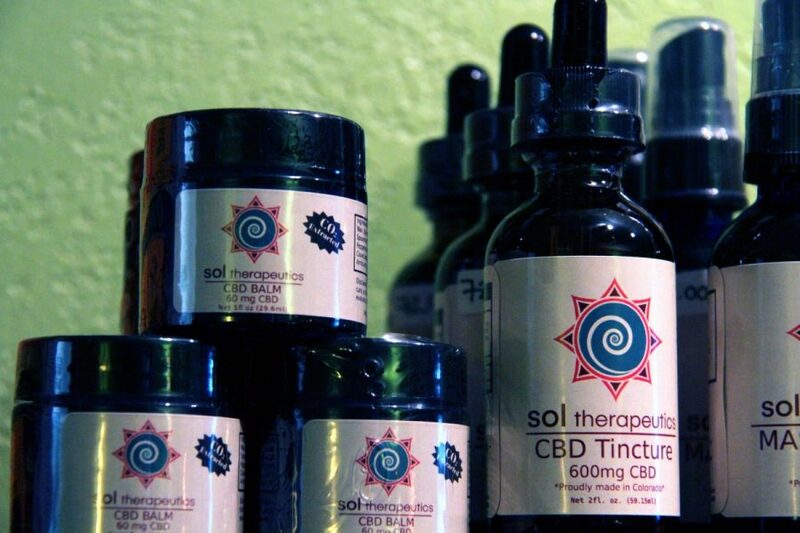 Our Sol Therapeutics CBD Balm is available to purchase in our studio or online. Supplementing with oxygen at altitude helps relieve headaches, shortness of breath, fatigue, dizziness and lack of energy. Rejuvenate with a simple, 30 minute facial using steamed towels, refreshing lemon cleanser and nourishing avocado moisturizer. Indulge with a head, neck and shoulder massage. Performed by massage therapist. Love your feet. Give them a treat. It is a great way to detox and unwind. Enjoy a foot scrub, reflexology and peppermint leg massage. All of our facials are customized using the Sanitas product line, a local Colorado company that focuses on stimulating & nourishing the skin while delivering concentrated, high end, active & biogenic ingredients. Retail sizes are available for purchase and we also do free shipping. Indulge and unwind with a results oriented facial using high concentrations of active, biogenic ingredients found naturally in your skin. Our facial focuses on your individual skin care needs to reverse signs of aging, treat skin conditions, brighten, hydrate & nourish. Includes skin analysis, deep cleansing, steam, exfoliation, extraction, massage & serums to leave your complexion refreshed and radiant. The same concept as The Perfect Facial, but abbreviated! Great alone or the perfect compliment to a massage session. 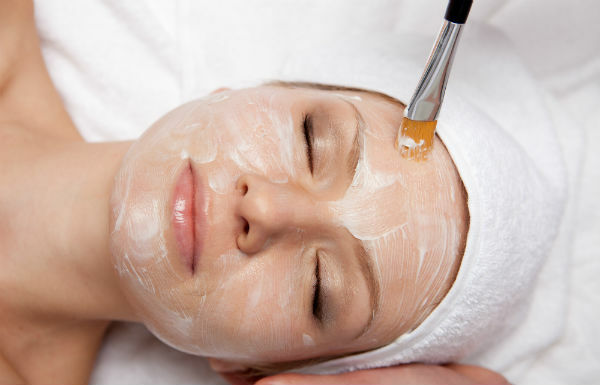 This facial takes all the wonders of The Perfect Facial and adds amazing anti-aging flair. Take it up a notch with a deep enzyme or lactic exfoliating mask. Enjoy a Peptide eye treatment. Get a powerful Vitamin C mask & finish off with a high dose of collagen & elastin stimulating peptides. When your mountain adventures are done and your face is rosy and chapped, choose this facial to soothe & heal. This treatment includes 2 calming masks & finishes off with a potent Vitamin K serum to restore your face to glory. This facial is great for all skin types & especially perfect for those with sensitive skin. This facial uses the technology of NuFace microcurrent to gently stimulate the skin, improve circulation & tone facial muscles to give your face lift. 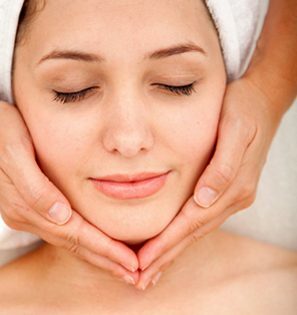 This facial also includes deep cleansing, exfoliation, steam & serums. Vitamin C is skin food so try this amazing anti-aging/brightening facial that will bring your skin to a beautiful glow. 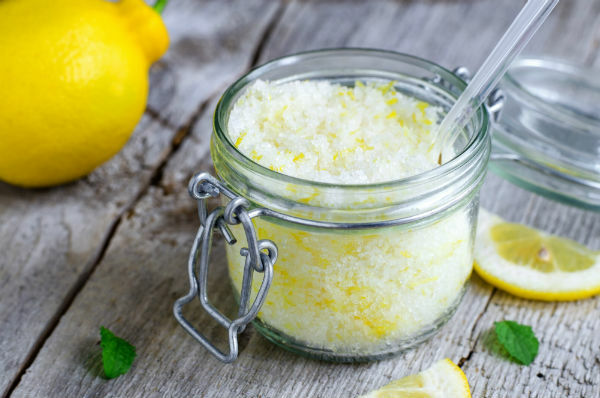 This facial has fresh citrus notes and uses high doses of vitamin C throughout. Also enjoy a powerful enzyme exfoliation and lip treatment. This facial uses the patented technology of OxyGeneo to bring rich oxygen to the skin, give a deep exfoliation & infuse active serums into the dermis. This facial does it all: plumps & hydrates, firms & tightens, restores skin volume, reduces hyperpigmentation, and diminishes lines & wrinkles. Your skin will feel buffed and hydrated like never before. You will see an amazing improvement after one treatment, although once per week for 6 weeks is recommended. Great for all skin types, even sensitive skin. Requires no recovery time. This back treatment focuses on exfoliation and uses clay and tea tree to treat those stubborn breakouts that happen on your back and shoulders. This is a great 30 minute add-on to any facial or massage. Does not increase treatment time. If you are serious about reducing fine lines & wrinkles, brightening skin, evening out skin texture and exfoliation, then getting a peel is the way to go! Only recommended for those who plan to avoid direct sun exposure for 3-7 days. A number of our massages are available for outcall, so book a therapist to come to the comfort of your home! You can book multiple massages or just one. Please note that this service is best when booked in advance, so please check for availability.